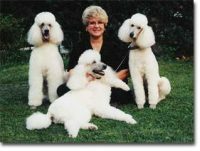 Hi, my name is Linda Sutphin, owner and operator of Homestead Poodles. We are located in Frederick Maryland, a thriving community about an hour North of Washington, D.C. and an hour West of Baltimore. 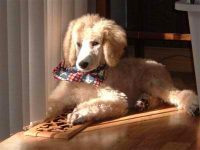 I have loved and raised toy poodles for the last 38 years. 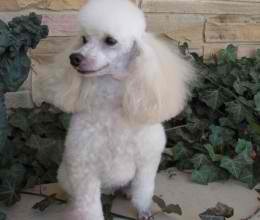 My poodles are (family), raised in my home with no cages or kennels. Many even sleep in my bed with me. I have tiny toy poodles and toy poodles, with the occasional pocket/teacup poodle. Colors are red, black, apricot, cream, white, brown and the occasional phantom poodle.